A pair of foxes decided a snowy roof was a great place for some rest and relaxation last weekend. 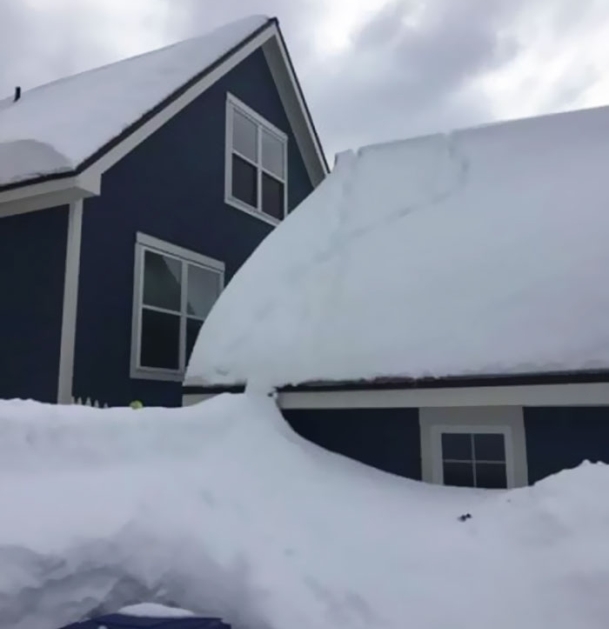 Andy Carver said he woke up Sunday and saw the foxes outside of his window on top of a roof. He said it took him a few minutes to figure out what he was seeing because he was only "half awake." "I was shocked. I was like what in the heck is that because I had just opened my eyes. My wife had just opened the blinds and that was the first thing I saw. I was like how did they get up there? what is going on?" he said. 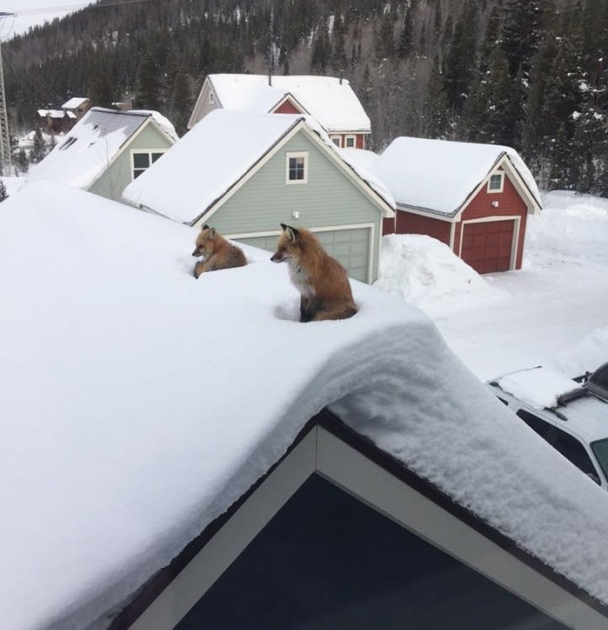 Carver said Breckenridge has received about 4 feet of snow recently, so the foxes had no trouble climbing right up a snow pile and onto the roof of the garage. He said they went on their way after about an hour. 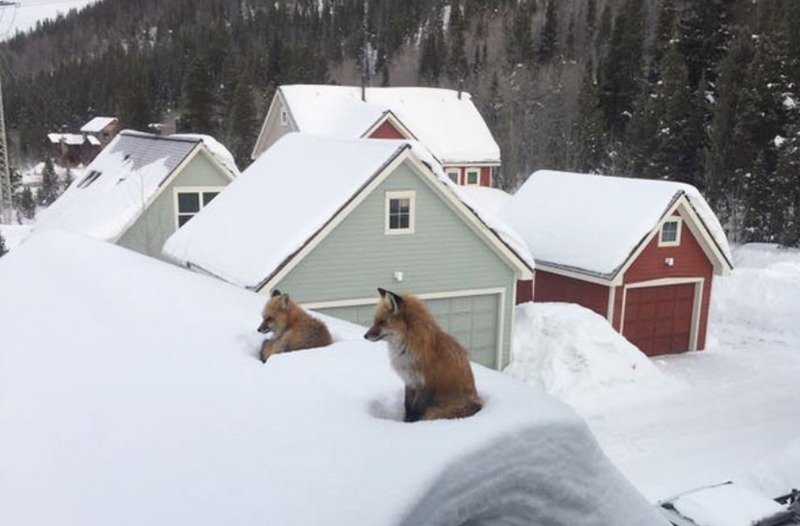 It’s hard out there when you’re living the fox lifestyle, and sometimes you just have to take it easy on the nearest roof. Let’s hope these two had a safe trip back to the woods. 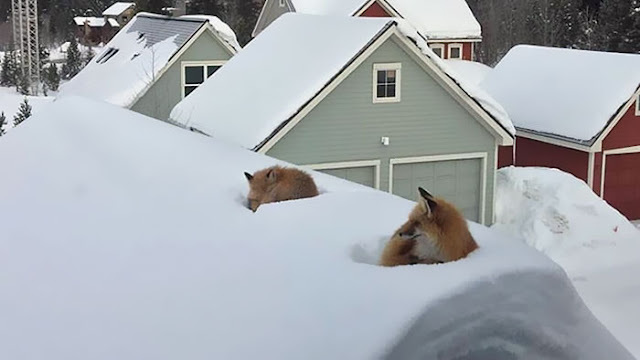 Responses to "How two adorable foxes got on a man's roof and surprised him"